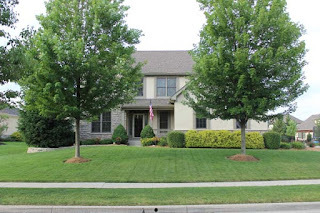 BEAUTIFUL CUSTOM BUILT ROMANELLI & HUGHES HOME! Pride in ownership… Over 4,500 SF of Finished Living Space! Great Room with soaring ceilings, gas log fireplace & wall of windows. Kitchen with granite countertops and stainless steel appliances. Master Bedroom with attached Bath and huge walk-in closet. Updated lighting and crown molding throughout. Private patio and fenced backyard with professional landscaping. Community ponds and walking paths. Close to parks and schools. 4 BRs & 4.5 Baths. Westerville schools. Only $534,500! Call DeLena today!